Σε πολύ καλή τοποθεσία της Κουάλα Λουμπούρ, το Sovotel @ Kelana Jaya είναι μια πολύ καλή βάση απ'όπου μπορείτε να εξερευνήσετε την σφύζουσα πόλη. Από εδώ, οι επισκέπτες μπορούν να έχουν άμεση πρόσβαση σε όλα όσα η πόλη έχει να προσφέρει. Με την βολική του τοποθεσία, το ξενοδοχείο προσφέρει εύκολη πρόσβαση στους προορισμούς της πόλης που πρέπει οπωσδήποτε να δείτε. Οι εγκαταστάσεις και οι υπηρεσίες που παρέχει το Sovotel @ Kelana Jaya διασφαλίζουν την ευχάριστη διαμονή των πελατών. Για να ονομάσουμε μόνο λίγες από τις εγκαταστάσεις του ξενοδοχείου, υπάρχουν τα δωρεάν WiFi σε όλα τα δωμάτια, ημερήσιος καθαρισμός, 24ωρη ρεσεψιόν, εγκαταστάσεις για άτομα με αναπηρία, φύλαξη αποσκευών. Το Sovotel @ Kelana Jaya διαθέτει 28 δωμάτια. Όλα τους είναι διακοσμημένα με γούστο και πολλά από αυτά παρέχουν ανέσεις όπως επίπεδη τηλεόραση, ασύρματη σύνδεση internet (δωρεάν), δωμάτια για μη καπνίζοντες, κλιματισμός, ντουζιέρα. Εξάλλου, το ξενοδοχείο διοργανώνει πολλά ψυχαγωγικά δρώμενα έτσι ώστε να έχετε πολλά πράγματα να κάνετε κατά τη διαμονή σας. Όποιος κι αν είναι ο σκοπός της επίσκεψης σας στη Κουάλα Λουμπούρ, το Sovotel @ Kelana Jaya είναι μια εξαιρετική επιλογή για μια χαρούμενη και συναρπαστική απόδραση. Δεν διατίθεται βρεφική κούνια στην ιδιοκτησία. Basic room but worth paying this price. There's plenty roadside parking. Convenient store just 2 mins walking distance from Sovotel. Overall, good stay. 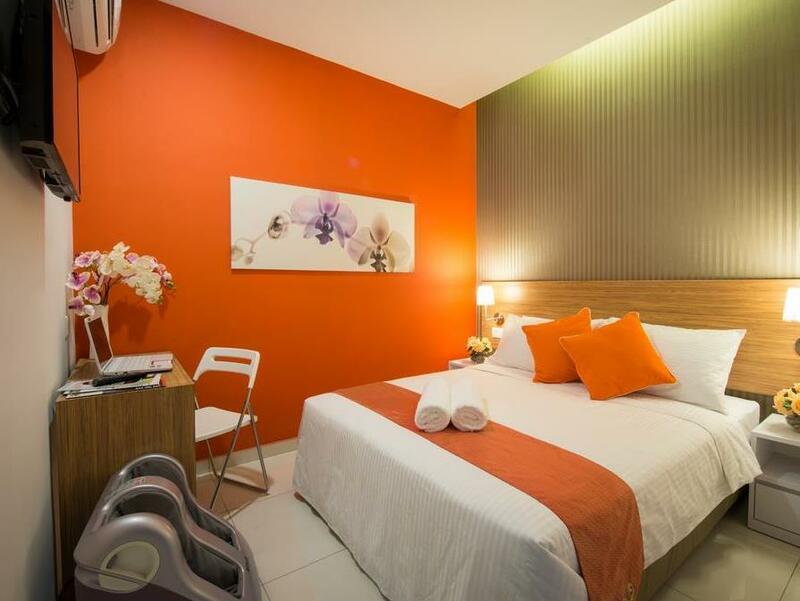 Pros: Located near to LRT Kelana Jaya Station, 24 hours convenient store, restaurant, etc. 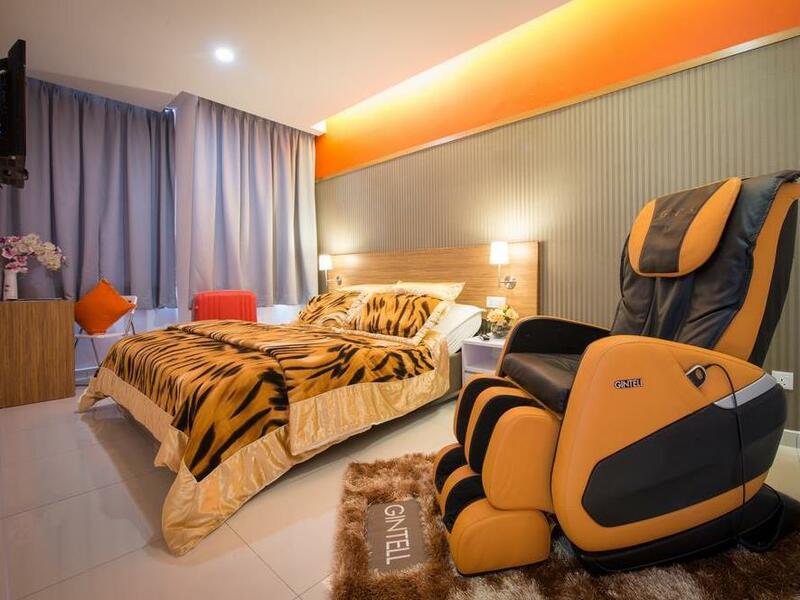 Massage chair and iRest bed (adjustable bed -motorised, control via a remote control)in the room is a BONUS! Cons: Room can be bigger Need to replace their pillow. Get a better/fluffy one please. Other than that, it is really value for money! The bed sheet is in bad condition with hole everywhere. And i doubt they changed the bed sheet since last check out because i found out some hair on the bed the moment i step in. Other than this, too noisy at the ground floor. Cant sleep at all. Other than this, everything is GOOD AND EXCELLENT. The room was very run down and with a strong smoking smell. We couldn’t accept the room and ask to change, the reception changed another room for us which is slightly bigger and with window. The second room was a bit better, but still quite run down. Bathroom light was very dim, heater had a loud noise when turned on. Seriously we were not comfortable staying there. 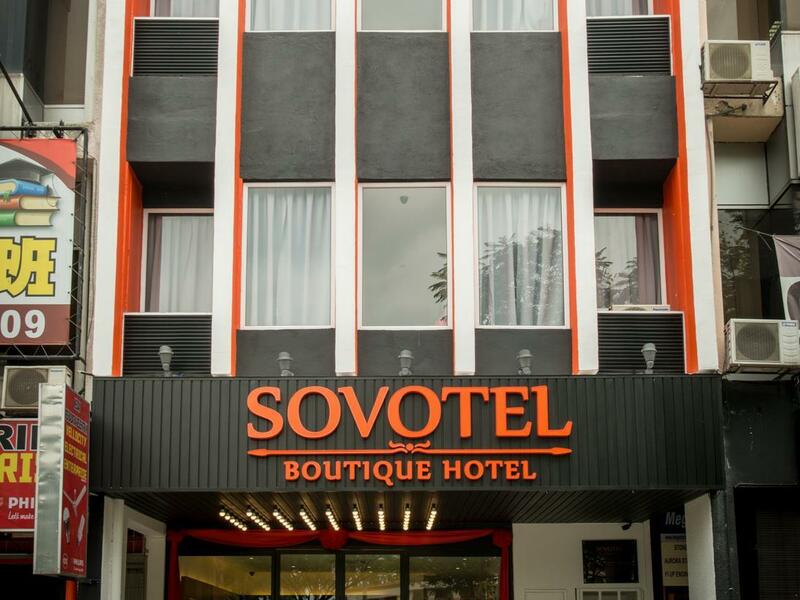 This was the first time we stayed in Sovotel as I know the Kota Damansara branch was quite alright. But we were very disappointed with this branch. We have decided not to stay at that area anymore because we noticed someone broke the window of one of the car parked near to us the next morning, thank God it’s not our car! Room is clean. Parking is public street parking, late evening till next day is free. Simple but Comfortable Reception will ask for RM50 deposit during check in 24 hr reception , to open door into premises. The hotel room was decent for the price, the room were also provided with Gintel Foot Massage, as a standard room I’m impressed that they have that. However, theres no window, not even a small window. Thus the room were quiet stuffy and there’s no natural source of light that prevent from odour. The tv channel were limited but decent enough. I’m very much very dissapointed because of the wifi, I cant connect to the wifi and the staff was not doing much help in terms of that. Other than that, it was pretty good stay. Everything was perfect! I dont even know where to start from. Firstly, the employee was really kind and nice. They even listened to my special request which is for a higher floor! The room was really nice, i loved the lighting in the toilet and the room was clean. The first downside about this hotel is there is no lifts. So i wouldnt recommend elderly to take higher floor because it can be tiring because there are alot of steps. The second is the plugs cannot support laptop chargers because it tends to shortcircut everytime i plug it inOtherwise, there wasnt any disturbance at all. I've been sound for bring 1 extra people with me. 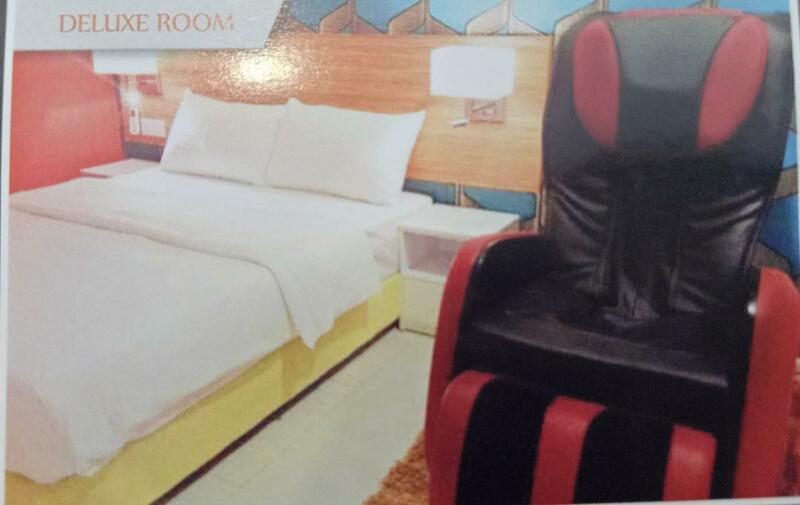 We take family room which have 2 queen beds (for 4 pax). But there are 5 of us. The receptionist could tell us nicely that we need to pay extra charge because we had extra person. But she used to sound me for that. It's annoying! Room got bad smoke smell, their room is small and water heater sound too loud & noisy. We had requested to change to new room, room not bad smell, but the water heater sound still load & noisy. Hopefully, they can fix the problem. Stay here a few time already but always got annoy with the receptionist. There was one time that i late check out, i check out at 12.15pm. The receptionist called and said if i didnt check within 15mins , she will charged me for late an hour. If go to other hotel downside of the road, i late check out at 1.15pm but still their service is okay and the receptionist also okay. Also got lift. If here, had to climb a mountain of stair. The pro of this hotel compared by the other hotel downside of the road is only the tv channel. I was really surprised the hotel was that cheap and good condition, however im only disappoint is the hygiene. the table beside of the bed is not really clean and have some cup dirt stain, the towel yet also have stain and kinda funny smell. after i changed towel with them, its better than the first day towel. I dont understand why the staff put me into a smaller room whereas there's a bigger room (same type) available until my actual room's water does not function. After the changes I satisfied with the new room. Great location, clean room, friendly staffs. There's a food massager in the room which was a nice touch. Only drawback is there's no elevator, and there's some noise at night when people opening or closing the door in the hallway. The room was booked for my parents. They like it and shared with us that the bed is comfy. Foot massaging machine is a treat! A little bit noisy because the room is very close to the staircases. Staff has helped us to reserve a room at level 1 considering my parents's age. Overall is good stay! The services of the staff is not good. After we check in , we found that the air cond not function , the room very warm. My husband call to reception request to change the room , however the reception staff refuse to change room and said come to our room to fix it. After like 15 min, he came to the room , my husband explained to him the situation of the air cond and told him the air cond leaking also. His face was like impatient and said you have to wait for awhile and see. My husband said we on the air cond for one hours , the room still very warm thats why we request to change the room. Then he asked for the remote and fix the air condition with impatient face. After 10 min , he told my husband , you wait see how if not only call to change room. After 10 min , still feel warm, we give up to call him as its too late or else it gonna take longer time to fix it as he also look like impatient not friendly and he never follow up with us. If you're staying only for 2-3 nights, and have no moving transport, this is the place for you. 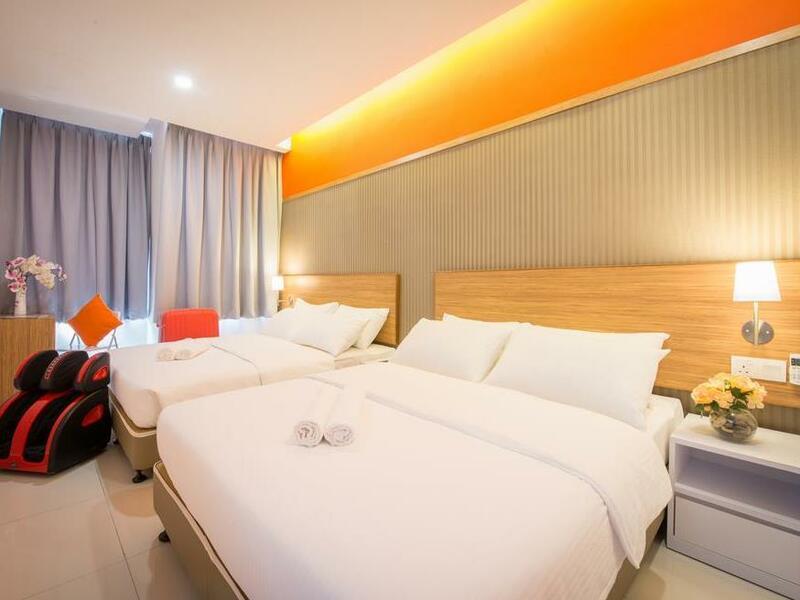 Situated just across the pedestrian bridge opposite the Kelana Jaya LRT station, it is definitely easy access to anywhere within KL namely KL Sentral/KLCC/KLIA. 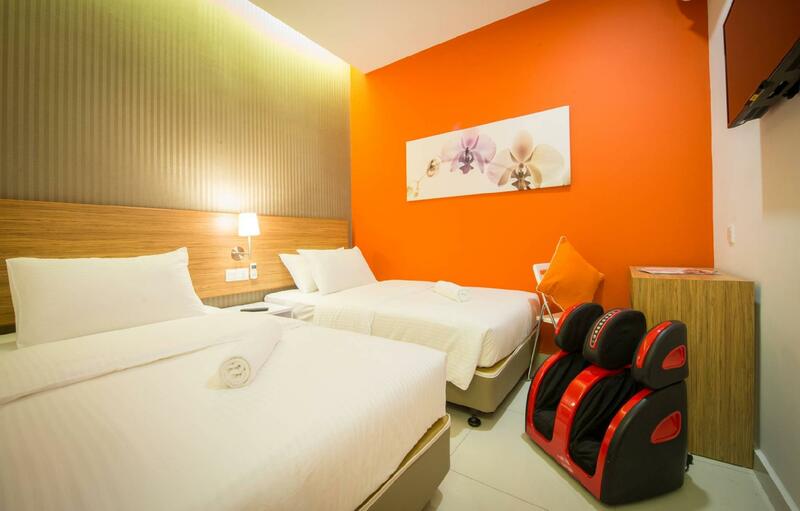 The rooms are not big, comparable to those of Tune hotel, but most importantly its clean. The room walls seem thin as it is a little noisy if there are other guests coming back late at night as you can hear people walking and the slamming of doors. Facilities are basic with no hair dryer or mini fridge. Σταθμός LRT Taman Bahagia στα 0.89 χλμ.